Judging at D&AD. Courtesy of D&AD. Just received word today from D&AD that they have selected one of my students for an Award, which is great news. D&AD Awards are regarded as the benchmark for creativity and employability in the creative industries. 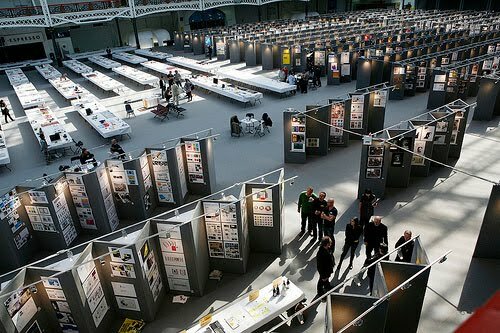 D&AD 2010 judging took place at Olympia in London last week, and finished on Friday. All the Professional Awards were posted on the D&AD website. The student nominations go to press on May 11th, so until then that's all we can publically say. But I am already booking the tickets down to the Awards Ceremony on June 29th.